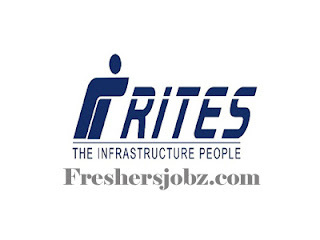 RITES Notification 2018.Rail India Technical and Economic Service has released a notification for the recruitment of Assistant Loco Pilot and Technician Grade III vacancies.Check the eligiblity and notification prior to apply for the positions. 3. Minimum post - qualification experience: 3 years - Candidate should have minimum 3 years of post-qualification experience of operation of Locomotive of 700HP or more in a reputed organisation such as Central Govt/State Govt/PSU/Public or private company listed on BSE/NSE. 4. Nature & Period of Engagement: The appointment will be initially on probation for a period of two years. Selected candidates shall be liable for posting to any place in India as per requirements of the Company. Candidates will be required to clear the screening test for confirmation of their services at the end of the probation period. Those who fail to qualify in the screening test, their probation period may be extended and further action taken in accordance with the policy of the Company. Application Fee: No fee is required to be paid for applying to the said post. 3. Minimum post - qualification experience: 6 years. Candidate should have minimum 6 years of post-qualification experience in maintenance of Locomotive of 700HP or more in a reputed organisation such as Central Govt/State Govt/PSU/Public or private company listed on BSE/NSE.